Wallkill Golf Club in Franklin, New Jersey features the finest 9-hole golf course in northern New Jersey. Our course is maintained to the highest standards. For over 100 years, the Club has held its tradition of providing a competitive and enjoyable experience to men and women golfers of all ages and skill levels. 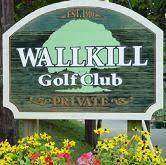 If you're tired of playing a 5+ hour round on public courses, you’ll love being a member at Wallkill Golf Club. With no tee times, you can walk on and play whenever you want. Enjoy a round on your way home from work. Play as many holes as you have time for. On weekends, jump in with a foursome. At Wallkill Golf Club, you will feel like you’re at your own private course.